This article was originally published in the June 25 through July 8, 2013 issues of The UFO Digest Magazine, printed here with permission. This is published in cooperation with watcherstalk.com. 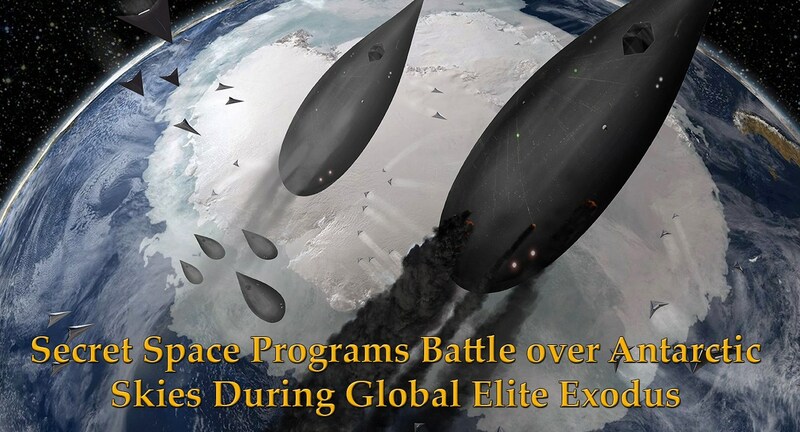 Komarek hypothesizes that two races of ETs are involved: the Greys and a “degenerate faction” of Sitchen’s Anunnaki called “fallen angels.” He summarizes that the “Global Elite” is already attached and this “highly autocratic earth-human society” and are nefariously directing affairs. The New World Disorder can hide behind questionable images such as faked radar returns, and as elaborate as “Reptilian” appearances to chameleon “amphibian” Aquatic gods. Such highly bizarre claims purportedly avail themselves to lie-detector tests (p. 46). There are a lot of questions an objective investigator will ask, such as: What happened to the “pencil slate” the UFO witness kept from a 1955 UFO episode (p. 71)? How can the governments of the world sustain a Secret Space Fleet with no possibility of an average citizen breaking The Iron Curtain of Secrecy (p. 121)? It is not surprising that Komarek did not find much skepticism on the Internet about Luca Scantamburlo’s crashed spaceship and aliens on the moon, because the vast Internet audience is bent on “believing,” not skepticism (p. 123). When you enter Komarek’s world, things always seem logical, but accompanying “hard-boiled” facts do not necessarily follow. Former Air Force Intelligence Officer Leonard Stringfield is told that they were losing about a plane a day from UFO encounters (p. 80). The late Dr. Olavo T. Fontes from Brazil reported in a February 27, 1958 letter that American Intelligence officials spoke with him and told him that worldly governments “have absolute proof” of alien crafts and that six known crashes had taken place with “little men” of about 46-inches. Propulsion was “rotating and oscillating high voltage electromagnetic fields.” Fontes was told that UFOnauts could be very hostile and tend to treat us as “toys” (p. 83). They have an “ultrasonic beam” that disrupts the molecular cohesion of objects and can freely interfere with all kinds of apparatus. The goal of perturbing UFOnauts, says Fontes, is control, first with “friendly interference,” but followed by total war and police action, if you fail to cooperate; even the President of the U.S “is not informed of the whole truth” (p. 84). Uncontrolled panic could very well ensue. To control the situation, governments have resorted to strict censorship and top-secret orders for fear of pandemic panic and chaos. Ridicule, death, and imprisonment are sometimes used. He quotes a high-ranking military official: “We are not interested in the so-called ‘Inalienable Rights’ of the people. Right or wrong we – the military – are going to stop us.” (p. 85). Ed Komarek presents case after case of UFO lore that he feels embodies the adequate testimony to bolster these facts, such as the Gene Ruegg recording of a phantom jet being abducted in July 1968 (pp. 86-88). Similar to other reported UFO incidents, competent artillery shells fired at a May 23-24, 1974 UFO at the Ramstein Air Force Base in Germany, “…(were) as if the shells were being absorbed or being vaporized at the explosion by some sort of force field.” There was no radar return on the launch control console. A Chaparral Antiaircraft Missile was launched and exploded on the UFO. The UFO descended to the valley floor. Chapter Two gets into some rather gruesome and horrifying tales of “human mutilation” by UFOnauts. We’ve heard the suspicions about cattle mutilations, but to have a human mutilation described in detail could be a little worrisome for most readers. This allegedly happened at the White Sands Missile Test Range in New Mexico in March 1956. The author also gives us the tale of an abduction of a 13-year-old-boy in October 1953. The vision that comes to Erdmann’s mind when reading this allegation is his personal after-midnight UFO encounter in 1959 or 1960 as he walked home following a late movie: the UFO briefly hovered, glowing above and near him, changed its shape and shot upwards. He wonders, at times, what if…..? Richard Dolan – Secret Space Program: http://www.youtube.com/watvch?v=dsidsxmzMDw. A Luca Scantamborlo’s story about the triangular ET craft, a mother ship, and an alien base on the backside of the moon is what can be described as a ‘jaw-buster,’ so-to-speak, but ‘proving’ it will be a ‘brain-buster,’ however. This mission allegedly took place in 1976, consisting of three American astronauts, who trained four-years for the retrieval mission. If anything, at present, it is just a questionable claim looking for a ‘home’ called proof. An episode is related about soldiers in 1971, Thailand who interacted with as many as 21 humanoid creatures near their craft and take off. During the customary “debriefing” the soldiers were put through “a combination of drugs and hypnosis” as a means to distort, substitute and rearrange their memories of their UFO case. A question arises: do governments use this ‘method’ of Mind Control regularly? Komarek renders a classical hierarchical belief that I’ve exposed before, as seen in all sentient beings (p. 19): “The slave master only allows the slave knowledge to do his or her job and no more because to know more would be to invite rebellion. This master-slave concept of ‘Need to Know’ has been incorporated into modern-day national security Top Secret classification systems….” The author reminds us that this “national military and business interest” was called by Dwight D. Eisenhower as the Military Industrial Complex, or also called the Corporate Cartel, the Alien Resource Cartel, and the Special Access Programs (SAPs). Komarek reveals that the center of the complex was “….not even DOP personnel, but rather private contractors, mainly attorneys.” (p. 174.) He declares that ‘American multiple-national-corporation,’ or also called the “Corporate Cartel,” also called The Alien Resource Cartel, and “InterEuropean Companies” from Britain, Canada, and France, Germany and Australia. Komarek mentions Baron Jesco Von Putthamer, a high ranking Nazi official that came to America through Operation Paperclip, a Nazi operation with close ties to Bush and Ford families. 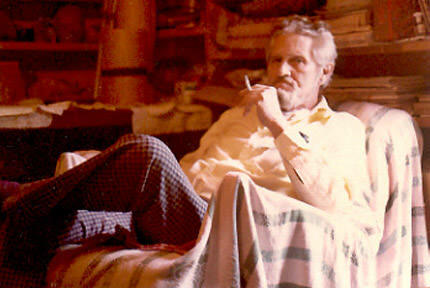 Baron Von Putthamer entered America in 1968 and worked at many major aerospace corporations, showing Cartel influence. Through Reinhard Gehlen’s Nazi Intelligence Network, MK-Ultra, operation Artichoke, and Operation Midnight Climax emerged. One hundred and thirty Paperclip dossiers had been cleansed. The CIA’s Dulles, says Komarek, kept things secret from the President. It is a Shadow Government. Dulles wanted no U.S President privy to UFO secrets. “The global criminality and fraud are just staggering and very difficult for people to wrap their minds around,” says Komarek. 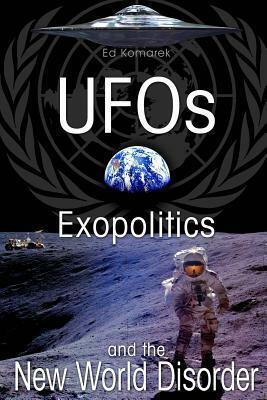 Extraterrestrial liaisons included exchanges with Tall White Creatures and Nellis AFB engineers, says Komarek (p. 193). One wonders, once again, about any Mafia/government connections as we are warned about “underground tunnels” between Las Vegas casinos and Nellis AFB (pp. 195-196). Tall Whites programmed “their involvement (that) included fashioning the consciousness of Jesus and sending him to live among earthlings to point to a better way of understanding life and to love.” (p. 199): A rather disruptive conjecture, to say the least. This history won’t be easily accessed or digested, if true. Komarek, however, says: “For them, we seem to be a way-station-pet-stop.” Hopefully not, if Jesus is one of them. 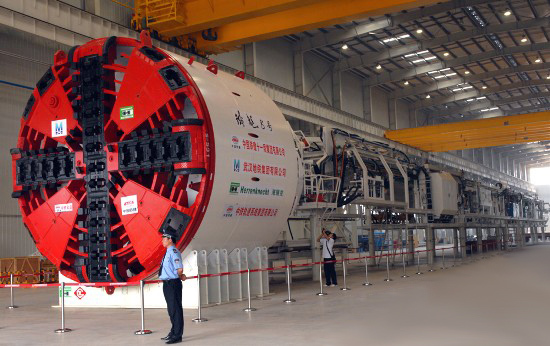 The use of Titanium in spacecraft is of special interest to Steve Erdmann, as one of the major industries in Carondelet, Missouri is the Titanium plant at the foot of Horn, Weiss and Hoffmeister streets near the Mississippi River in St. Louis. 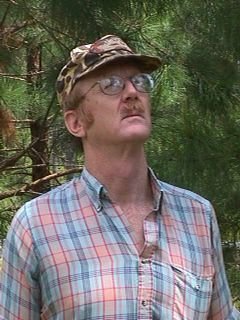 Sometime near 2000, Erdmann and a few other witnesses, spotted a UFO hover over the plant (said to be a police helicopter) flashing a blinding, piercing light (similar to the penetrating light in Spielberg’s Close Encounters film that blinds the Roy Near character) and eventually flew over Maplewood and disappeared. One is reminded of the billionaire S.R. Hadden character in Carl Sagan’s 1985 novel (and later the movie) Contact. Komarek alludes to a space-age Higher Morality that includes mixing with various ET cultures: “The galactic human collective” with some difficulty in “the larger playing field” (p. 209). According to inside information given by Jeff Adams, that included eleven major and 124 minor alien races in our galaxy. Komarek highlights the Gerald Lights April 16, 1954 letter on the Muroc Edwards AFB/ President Eisenhower meeting with Aliens. Komarek refers to the string of stories in his book as coherent substantiation, “while not so significant individually when put together methodically and in context make a very compelling case for the classified Breakaway Civilization.” (p. 226.) However, if evidence will forever solely consist of tattered bits and pieces of homogenized narrative with no public or official disclosure, we can only wonder about their reality beyond imagination; or, at least, Dan Sherman’s imagination. Komarek introduces us to Project Preserve Destiny, or the Genetic Management Project, started in 1960 (the year of Erdmann’s UFO sighting) to enable human offspring to communicate with Grey EBEs. The chronologies of the early 1954 UFO/humanoid cases prove intriguing, reminiscent of the late Aime Michel: 1954 certainly seemed to be a significant year. Humanoid reports seemed like a conglomeration of diversity and similarity, often reflecting major productions. 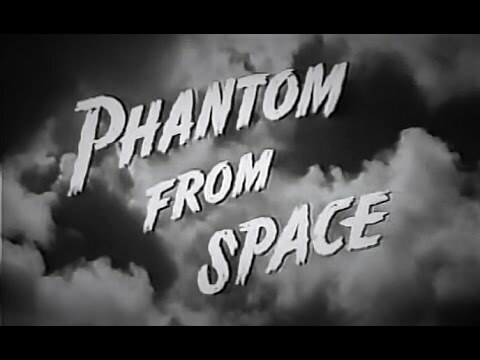 Three motion pictures of that period were (1951) The Day Earth Stood Still, (1953) War of the Worlds, and in 1953 there was the movie Phantom from Space. Tall-blond-human-descendants appear to have a link from ET, and there may be at least several species of extraterrestrial humans, some very similar to ourselves, says Komarek. Some are biological robots. Again, Komarek warns his readers to avoid “irrational disinformation – indexed delusionary beliefs” about ET stories (p. 281). One comment, however, about “magnesium UFO fragments” might be questioned as the UFO tale comes to light in OCRUGEIRO Magazine on May 14, 1958, shortly after Olavo T. Fonte’s story about magnesium UFO fragments in Ubatuba, Brazil in 1957. Komarek said that he constantly has to fine-tune his ‘spam filter.’ This may be one case were some spam may have slipped through. The author says “quantum entanglement” explained a lot of the happenings in UFOlogy. He speaks in terms of a “human collective,” sharing “multi-universes” “beyond what we can possibly imagine” (p. 293). The writer adds an interesting chapter 9 on possible ET battles, going back to Scriptures and various Hindu texts all the way to the present. With so much warfare (and the descriptions seem to be accurate) one wonders why there are not more remains of warfare around the globe, despite military retrieval. These descriptions blend with other legends, such as Richard Shaver’s and Ray Palmer’s Hidden World of the subterranean Tero and Dero. In Persian legend, says Komarek, Djinn lived on earth at one time and possessed “powerful…technology” greater than modern technology. Powerful Djinn who refused to be ruled by Allah became imprisoned in bottles, rings and “great caves” around the planet. The Majisal-al Jinn of Oman is chronologed in The Vengeful Djinn. 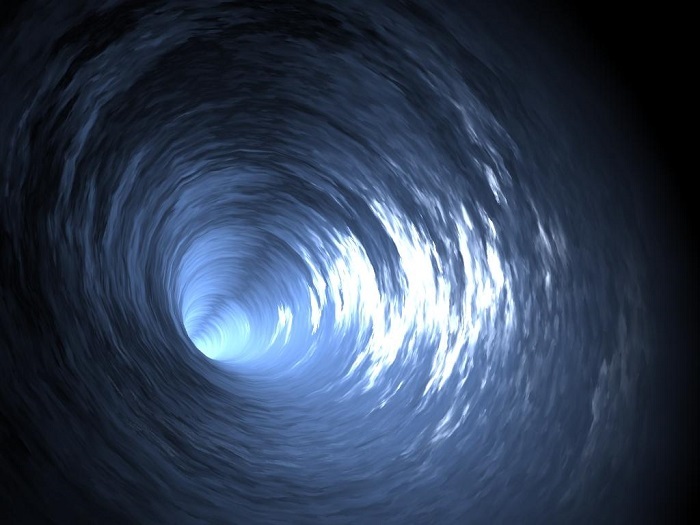 Various business and government consortiums have experimented with such “portals” as a means towards “teleportation,” a case in point was the Utah Skinwalker Ranch and Bigelow’s NIDS. Steve Erdmann can be reached at dissenterdisinter@yahoo.com – or –independenterdmann@gmail.com. His Facebook email is http://facebook.com/stephen.erdmann1/.